Bart Sights is the Sr. Director of the Global Development Network at Levi Strauss & Co. and keynote speaker at the upcoming BizNGO Conference, December 8-9, 2015 in Boston. Levi Strauss & Co. was one of the first companies in the industry to establish a Restricted Substances List that identifies chemicals they will not permit in products or in the production process due to their potential impact on consumers, workers and the environment. Bart leads and manages the Company’s Eureka Lab, the regional development centers, and the Innovation Team. Clean Production Action: What is Levi’s Eureka Innovation Lab? Bart Sights: We like to say that our Eureka Lab works at the intersection of art and science. We research technologies and then collaborate with our design partners to decide what is right for our brands and our products — then we execute rapid prototypes. We’re a small factory setting. We have everything in this building that it takes to make all of our products. We want to touch, wear, and feel, to see what that product experience is like, and then we test it for durability and to make sure that it meets our standards. When all of that is done and it’s adopted into the line, we work with factories and vendors around the world to scale that into production. CPA: How is chemistry incorporated into what you do? Bart: We research at a component level fiber, fabric, fit and finish. At all of those levels — except fit — a certain amount of chemistry is involved. Chemistry is imbedded in what we do. CPA: When did green chemistry become a priority for the company? Bart: LS&Co. has a long record of being a pioneer in sustainable practices, but we got really serious about sustainable chemistry in 2012 around the time our new CEO, Chip Bergh, came to the company. CPA: What’s the biggest obstacle that you face in trying to get manufacturers to give you information about what chemicals they’re using? Bart: The biggest challenge with chemicals is to understand their raw material components in relationship to their hazard and risk profile but without compromising chemical supplier’s intellectual property (IP). In order to make better or safer chemical choices in the development process and for our supply chain, this information is critical. To solve this, we’ve developed a framework using a third party assessor that will provide the information we need to make decisions but safeguard the IP of our suppliers. CPA: What tools do you use to identify hazardous chemicals and find safe alternatives? Bart: We are primarily using two methodologies – GreenScreen® for Safer Chemicals and the EPA’s Safer Choice program. Both are based on chemical hazard assessment, looking at a variety of human health and environmental end points. These programs provide us visibility into the safety of the substances used to formulate the chemicals used by our vendors to create garment finish effects. It also allows us to make better choices in the chemicals we use and have a dialogue with our chemical supplier where improvements can be made. CPA: How difficult is it for suppliers to comply with your standards? Bart: At first there was a great deal of reluctance by our suppliers and not only due to the sensitivity of sharing proprietary information. There was also the traditional perspective of risk management that was a barrier. The industry is use to managing risk at the end of the pipeline, through Restricted Substance Lists and compliance enforcement. This is a totally different approach that identifies and removes hazards up front in a proactive and precautionary manner. But once our suppliers went through the process with us, they recognized the benefits in the framework we created which protects their IP but allows transparency for collaboration and innovation. 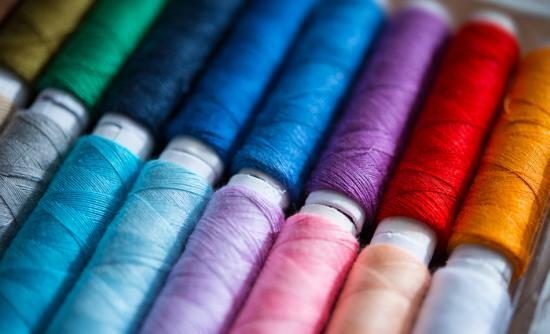 To date, we’ve piloted our framework with 3 garment manufacturing vendors and approximately 8 chemical suppliers. The feedback we’ve received has been overwhelmingly positive. CPA: Are you sharing any of this information with other companies? Bart: We did a series of peer reviews in March after we completed our first pilot and we received a lot of good, constructive feedback. Our garment manufacturer and three chemical suppliers also participated in the review process – it was a good collaboration. We have also started conversations with other brands to let them know what we’re doing. We’ve gotten some good feedback from them as well, and some questions that have lead us to make adjustments, but overall it has been very positive. CPA: Why do you feel that it’s important to participate in the upcoming BizNGO Conference? 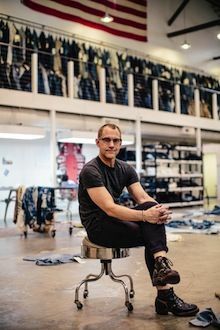 Bart: Levi’s is doing something that it is pioneering. We’re proud of it and want to share it. It’s hazard assessment, and so far it’s contributing to a positive list of chemistry, which really hasn’t been done before. With BizNGO it gets beyond just textiles — it’s building products, retail, electronics, consumer products, healthcare, and more. We want to share our systemic thinking, but also get feedback and learn from other industries. CPA: Does thinking about green chemistry change the fundamental way you design products? Bart: Absolutely. As sort of as a poster child for this initiative we decided that, even when we were in the pilot stage, that we would only develop products in Eureka with screened chemicals that have gone through the hazard assessment process, and now our lab is 100% based on screened chemistry. We have lots of tools to achieve certain looks, and that constraint drives even more innovation and creativity – we find alternatives and ways around it. So it affects our process and how we approach it, but in a positive way. *This story first appeared on BizNGO. This entry was posted in Chemicals, Conversations and tagged BizNGO, Greenscreen, Innovation, Levis. H&M, one of the world’s largest fast fashion brands, has launched a €1m ($1.16m) recycling prize in an effort to engage innovators, technologists, scientists and entrepreneurs to find a solution to a growing problem in the clothing industry: waste and pollution. The Swedish brand’s foundation, the H&M Conscious Foundation, announced the Global Challenge Award to “catalyse green, truly groundbreaking ideas” that will “protect the earth’s natural resources by closing the loop for fashion”. It’s a clever move from the fashion giant. The challenge has public appeal (it’s open to anyone with an early stage idea) and it will bring attention to an important issue for the fashion industry. 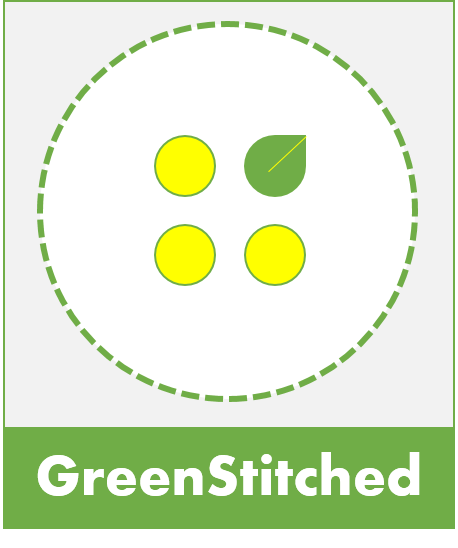 But critics question whether the company is side stepping the knottier issues of overproduction and worker rights by emphasising materials innovation and technology – especially when recycling the mixed fibres so common in fast fashion is proving tricky. The €1m prize money will be dispersed among five winners chosen by a judging panel – including academics such as Johan Rockström, Vogue Italia’s editor and a fashion model – each of whom will receive €100,000. The other €500,000 will be shared between winners after a public vote. Winners will also take part in a one year innovation bootcamp in Stockholm, organised jointly by Accenture and KTH Royal Institute of Technology, where the winners can test out early-stage ideas and see if they have the power to scale. According to Erik Bang, project manager for the Global Change Award, the impetus behind the competition is that “change is not happening fast enough”. A prize of this size and nature is a first in the fashion industry, he says. People are not going to stop buying clothes, he says, “however, the fashion industry requires large amounts of natural resources, lots of which can be reduced, recycled, substituted or eliminated”. Rather, Siegle says, it’s H&M’s way of saying that “we can have as much fashion as we want without any talk of scaling back or slowing store expansion or the drive to gain market share”. The solution, she says, lies in an age-old idea: buy high-quality pieces and less frequently. This entry was posted in Recycling and tagged H&M, Innovation.